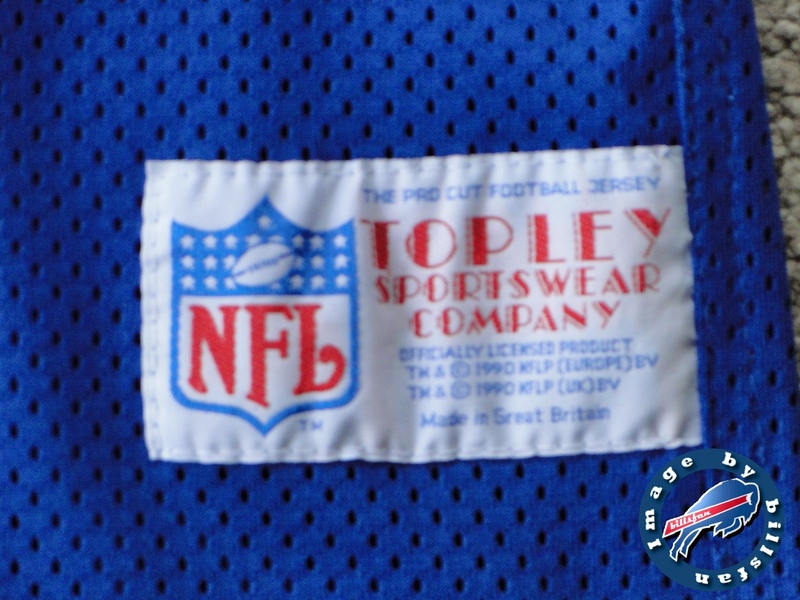 Made in Great Britain by Topley Sportswear for Superbowl XXVI in 1992 following the 1991 season. I bought this from a private collector in the UK. 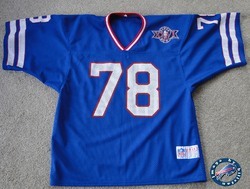 The jersey displays #78 for the awesome Bruce Smith. 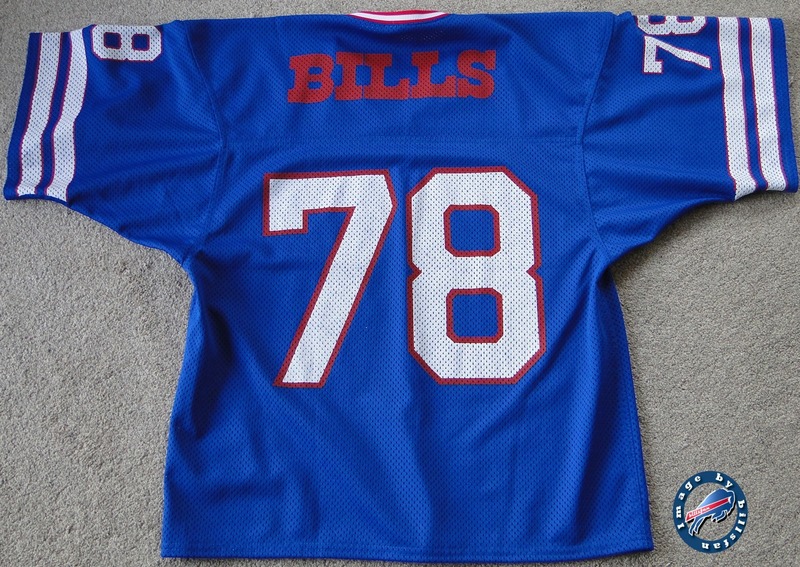 The name on the back is BILLS and all the numbers and logos are screen-printed on. 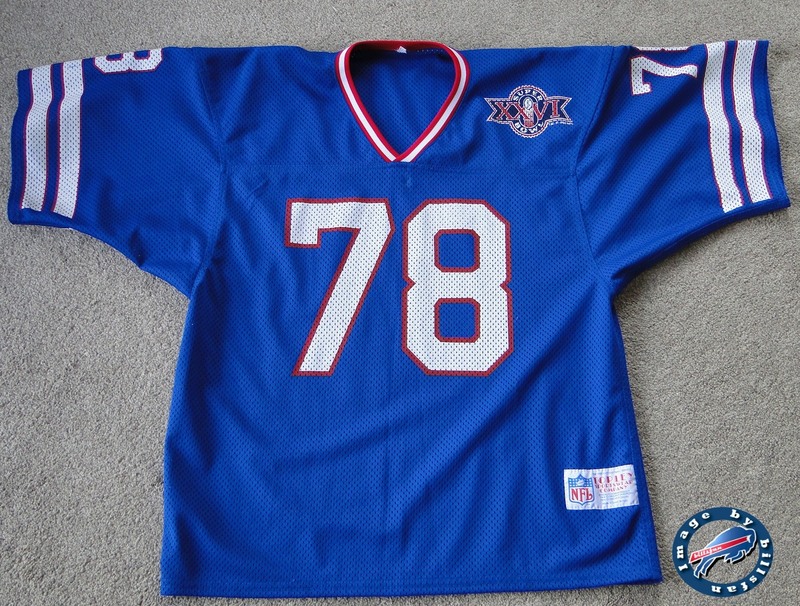 The jersey is in immaculate condition and I have never seen a Topley Sportswear jersey before. Nice that it was made in the UK for the UK market. Awesome. And he was awesome, too. Unsung in the stats because he was double-covered constantly. 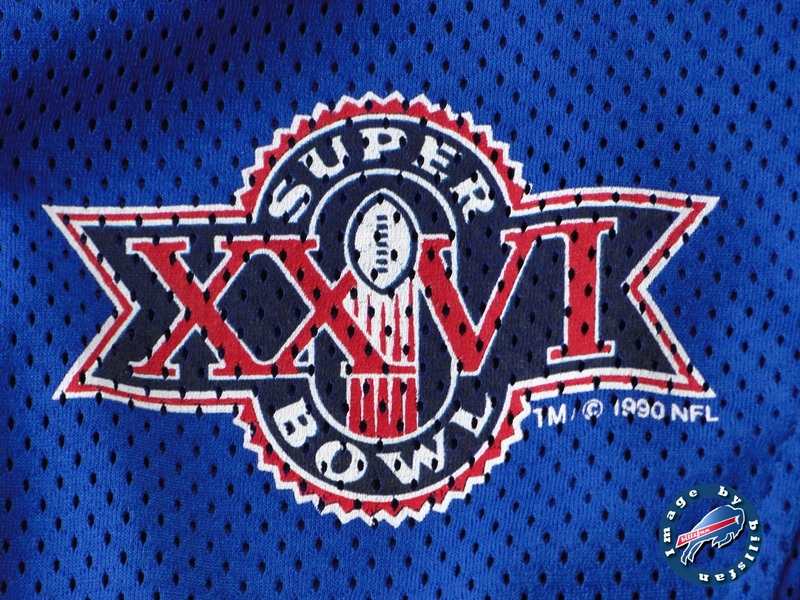 It was a running mandate in the NFL. You double-cover Bruce.